Featuring high quality form-cut PE foam designed specifically to house the Akai MPC live sampler/sequencer, the 3i1813-5MPCL provides the maximum protection in transporting the stand-alone sampler/sequencer. 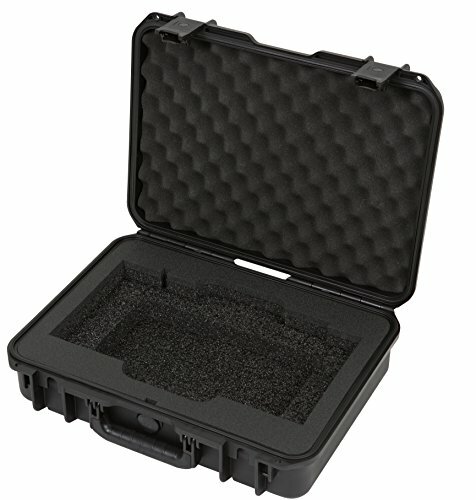 All SKB iSeries injection molded mil-standard waterproof cases are molded of Ultra high-strength polypropylene copolymer resin, and feature a waterproof and dust-proof, submersible design (mil-c-4150j) that is resistant to corrosion and impact damage (mil-stud-810g). other standard features include a molded-in hinge, patented “trigger release” tsa-retrofit table latches, comfortable snap-down rubber over-molded cushion grip handles, and an automatic ambient pressure equalization valve (mil-stud-648c). the 3i1813-5MPCL-along with every SKB iSeries case-is proudly made in the USA and comes with an unparalleled, Unconditional lifetime Warranty.